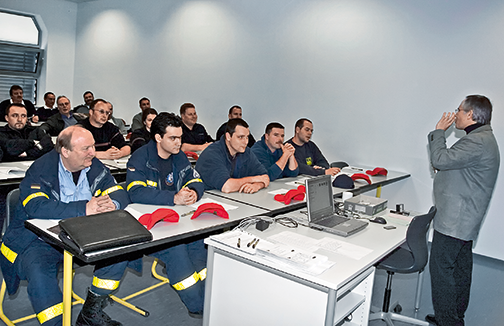 Trainings & seminars of the Magirus Fire Fighter Academy. You notice it with every mission: The requirements for fire protection and rescue services are becoming increasingly complex; fire fighting equipment products get better and better, but also more demanding to use. 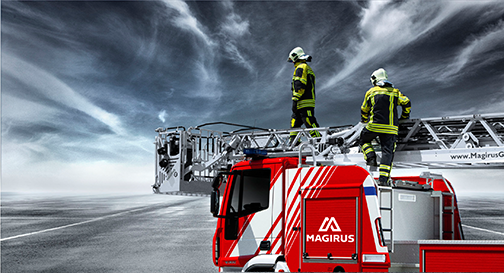 Take advantage of the opportunity of intensive training in the seminars of Magirus Fire Fighter Academy to improve your efficiency and to achieve the greatest possible safety. We look forward to welcoming you or your staff at our seminars. Regular training creates safety. Especially on your own equipment. This is why we hold this course on your own premises with your own Magirus turntable ladder. 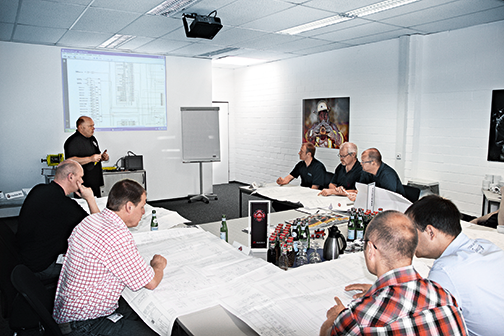 Magirus specialists provide all of their knowledge as well as many tips and tricks for up to 8 participants. Perfect equipment handling, execution of service and maintenance work and best technical knowledge. All equipment must function optimally on the job. 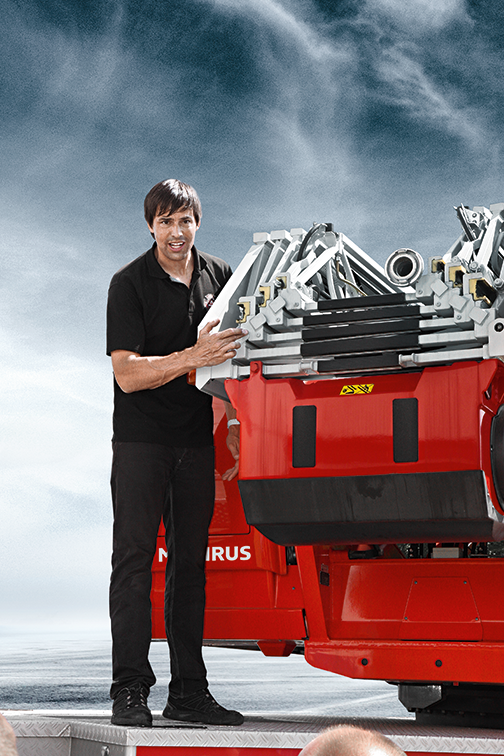 Extensive basic knowledge and the technology behind it, error-free operation, maintenance and care are essential. After this one and a half day course, firefighters will understand not only the technology, but will be professionals at maintenance and service tasks. Machinists, equipment maintenance and workshop personnel, trainers. Deepen technology skills and eliminate sources of disturbance during use. Those who understand the technology can control it. In this course, which builds on the CS Technology BASIC course, machinists, equipment maintenance and workshop personnel and trainers gain an understanding of the interaction of technical components: Hydraulic system – CANbus system – sensors and know how to work with them. Identifying and rapidly eliminating technical problems for permanent operational readiness. The faster malfunctions are eliminated, the sooner the team is ready to go again. In this course, fire-fighters gain in-depth expertise on the maintenance and care of Magirus turntable ladders and rapid fault diagnosis. This ensures that excellent, innovative equipment long remains first class. 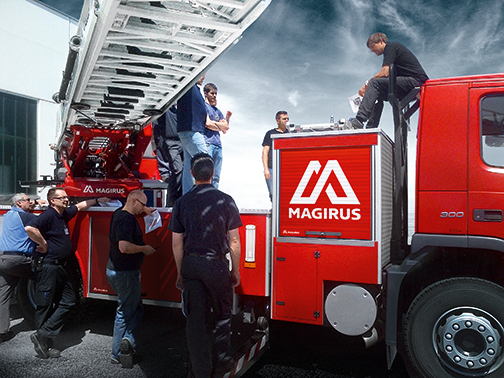 Getting the maximum from your Magirus ladder in every situation. Anyone who needs to act under time pressure must have a mastery of the technology, because the perfect technical and tactical handling of the turntable ladder can determine the success or failure of a mission. 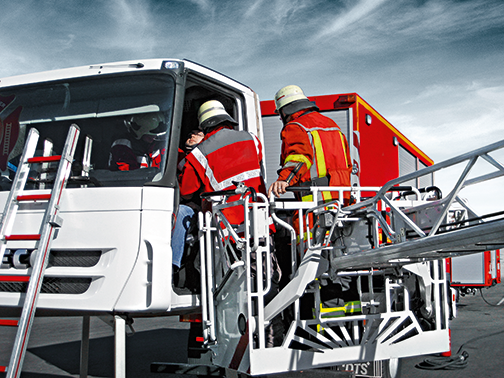 In this three-day practical seminar, an experienced Magirus trainer and a tactics specialist will provide extensive knowledge at your site. This transforms fire-fighters into turntable ladder operators. Machinists, group leaders, equipment maintenance and workshop personnel, trainers. Perfect mastery of AluFire 2 and AluFire 3 fire trucks and portable fire pumps. Every fire-fighting vehicle is only as good as the people who operate it. In this course, fire-fighters learn about their fire trucks from the inside out. 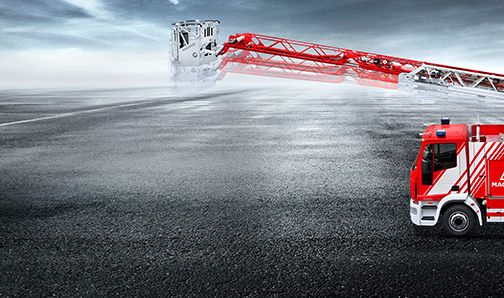 From the optimal vehicle operation to the professional handling of the pump and the PRIMATIC self-priming system. Do you need something, have a question, a problem? 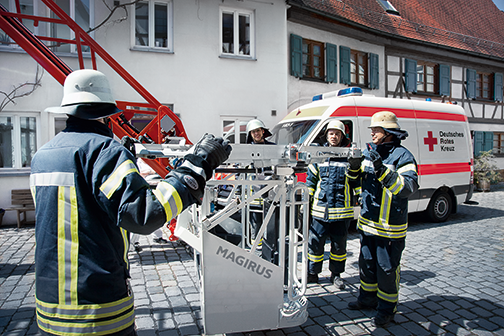 The Magirus Fire Fighter Academy Team is here for you and will be glad to help you. Please contact us.